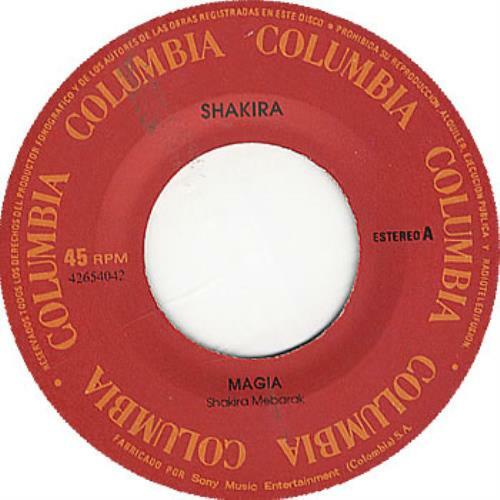 SHAKIRA Magia (1991 Colombian Columbia label debut 2-track 7" vinyl single, also including Necesito De Ti, housed in the original generic Sony Music PVC sleeve. The vinyl is in near MINT condition, showing some faint storage wear but no evidence of play! ).